After my OSX 10.9 installation of Mavericks my email accounts stopped being able to send email. I looked in the outgoing mail preferences in mail and I didn’t have any outgoing servers. I re-entered my outgoing SMTP server settings and saved them but I still couldn’t send. Furthermore, the new settings I just entered completely disappeared………… Losing my settings after entering them was completely frustrating. I used the ‘test your settings’ app and for some crazy reason my old SMTP servers were in there and connecting. The crazy thing is mail wasn’t recognizing. 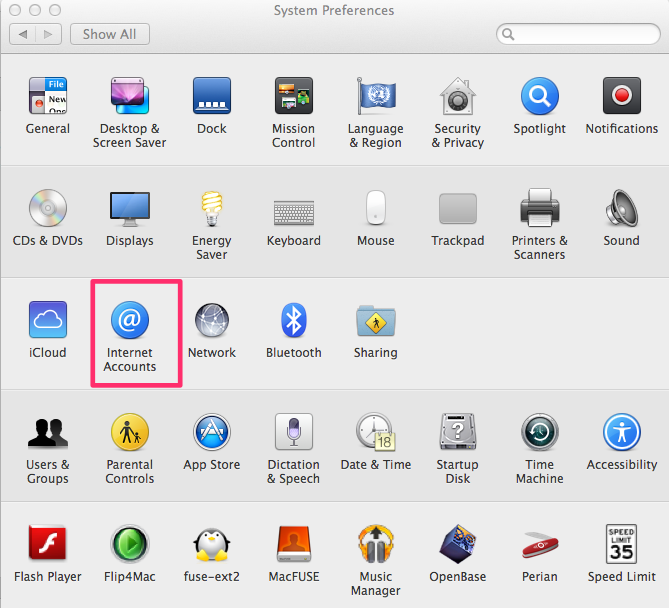 Go into your System Preferences and click on the Internet Accounts. 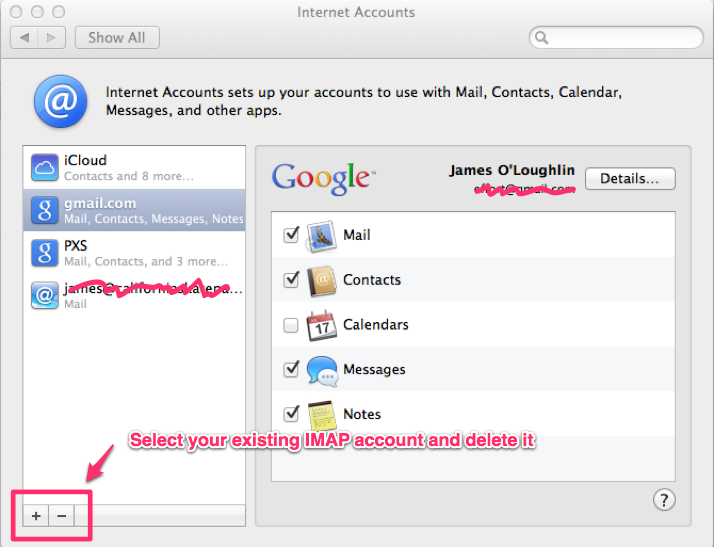 If you’re using Gmail or an IMAP account go ahead and delete it. You won’t lose any email because it’s stored on your email server. If you’re concerned, you can go into your finder and backup your email directory and open your Contacts and export them… Hopefully you’re using Time Machine or another back up service anyhow because hard drives fail. For some reason you have to edit your email account information inside of System Preferences -> Internet Accounts and not inside of the Mail App. This is weird and counter intuitive to what I’ve been used to but I guess it fits into the iOS mentality. After you delete your account, you can enter your email and SMTP information and the account works properly again and you can SEND SMTP EMAIL AGAIN.